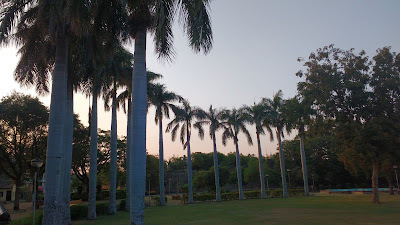 I did a quick trip around the Solapur region on a mid-December weekend in 2015. The plan was to cover Solapur, Tuljapur, Naldurg and Hattarsang Kudal. 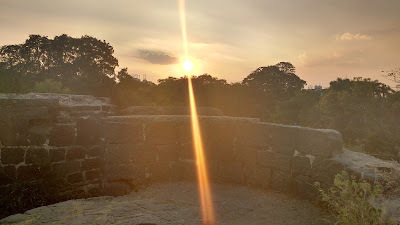 This post is about my two days in Solapur, where I chose to base myself for the trip. 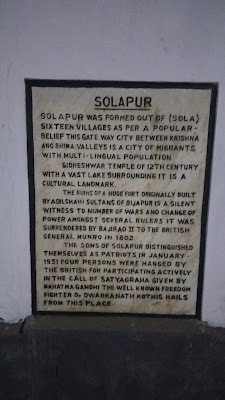 Solapur is a major city and industrial centre in the south-eastern part of Maharashtra. 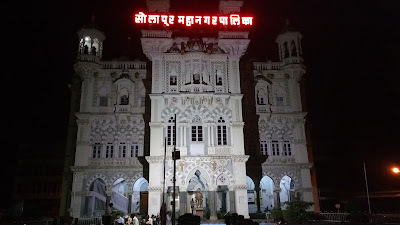 The Solapur city and the district has a long and important role in the socio-cultural history of Maharashtra. A weekend is insufficient to look at the region in detail. One can make Solapur as a base and do excursions to numerous important places located in a radius of about 40-60 km from the city - Pandharpur, Tuljapur and Akkalkot being the most famous and revered. The Wikipedia page covers Solapur in good detail. Solapur is a major railhead on the Mumbai-Chennai route. There are two terminating trains - Siddheshwar Express and Solapur Express - from Mumbai. Siddheshwar Express is the more preferred of the two, and hence my late booking could only fetch me an RAC ticket in the other train - CSTM Solapur Express. The surprise here was that the non-AC sleeper tickets were exhausted earlier than the AC tickets! My return journey was also in the same train. Other trains are easily available for early birds. 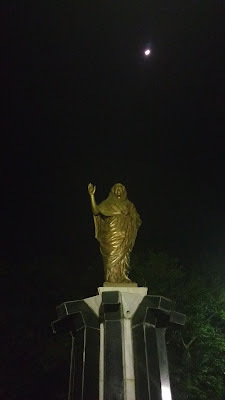 Solapur is a commercial city, located at an approximate centre of major religious places. Hence, accommodation options of all kinds are available here. The railway station and bus station obviously have a lot of options. Other important area is the Lucky Chowk. 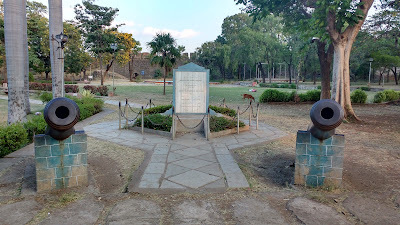 This is near the centre of the city and is easily accessible to all major landmarks - the Bhuikot fort and Siddheshwar Temple are a mere 10 minute walk away. 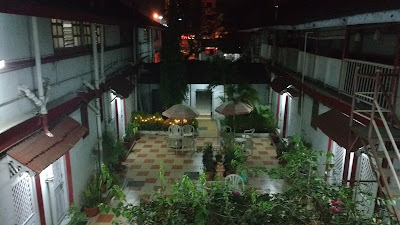 I stayed at a simple business-like place called Hotel Sanket near the Lucky Chowk. The place that I very much liked though - I visited it later in the day - was the Ajanta Hotel at the Mechanic Chowk. The place was celebrating its 60th Anniversary when I visited. The rooms are simple - resembling the old chawls of South Mumbai. The shared balcony overlooks the statue of Swatantraveer Savarkar and the new McDonalds outlet. The main market is close by. The major breakfast of Solapur is centred around the many Idli Gruhas (idli-house) The importance of idli stems from the location of the city at the cultural confluence of Maharashtra, Telangana and Karnataka. 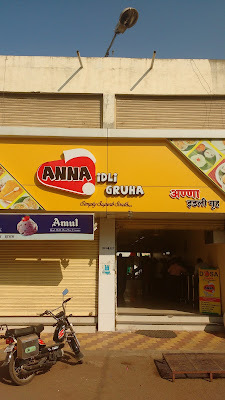 I had my breakfasts at the Anna Idli Gruha which was recommended by the manager of Sanket Hotel. 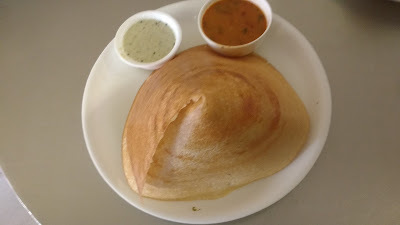 The basic South Indian breakfast fare was good and I was happy :). 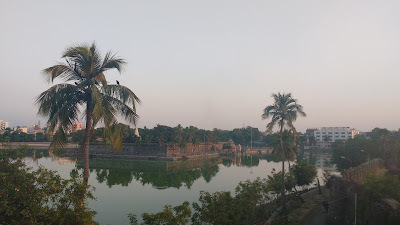 The old Solapur City was built around this smallish fort of Islamic-Bahamani origin. These days it has been converted into a nice park for the convenience of the locals. Two cannons welcome you as you step into the premises. Take a leisurely walk here and then head up to the fort walls in the east which present a beautiful picture of the Siddheshwar Lake and Temple. One can have a panoramic view of most of the city from this point. This beautiful temple is more-or-less the de-facto icon of the city. The temple stands in the middle of it's namesake lake and is approached by a longish pathway. The temple's history can be read in its Wikipedia page. The temple is amazingly tranquil; the peace here reverberates through your inner consciousness. 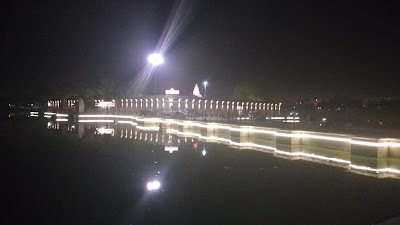 I visited this temple in the evening when it was beautifully litup adding to its charm. Spend some time here and just relax. Its a beautiful feeling. Solapur is known for its peanut oriented food - but I did not try that. On my first day there, I had a Pav-Bhaji at the local favorite Supraja, near the Bhuikot Fort. Good, local style non-veg food can be sampled at Sauji on the Murarji Peth. The people that I met in Solapur were mostly helpful - the traffic wasn't though. Navigating the streets is a bit of a pain with the load of bikes swerving everywhere and honking at the same time. It's a bit common all over India, you might say, but in Solapur it was something beyond what I've seen elsewhere. value to an intrepid traveler willing to venture into something new. The area is important when it comes to the matters of faith - and may forms can be seen here. Do this region once - as a weekend side trip perhaps. It will not disappoint for sure.